Concept artist Greg Semkow dropped an image for a possible X-Force movie, showing Cable, Domino, Warpath, Cannonball and a mysterious, hooded mutant, whose identity is unknown. We're not sure if this is official artwork that Fox commissioned or an image Semkow created to inspire possible filmmakers. Whaddya think? 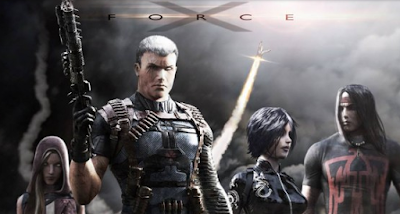 Is this the X-Force lineup you'd like to see? Thanks to CBR for the heads up.